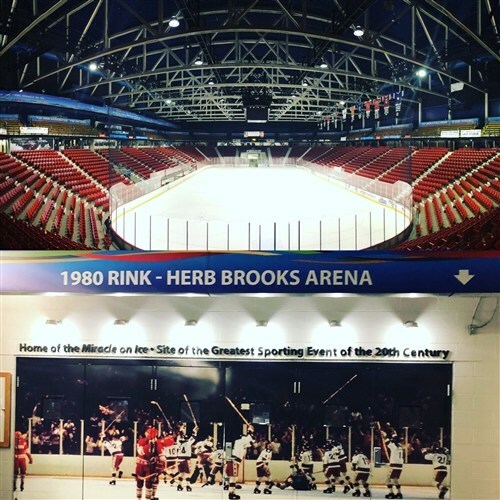 On Thursday, January 17th, our Prep Hockey squad began their long drive to Lake Placid, New York, the home of the annual prestigious Northwood School Tournament and the 1980 Olympics (home of the Miracle on Ice). Saturday afternoon we came out of the gate a little tentative and were down a goal to Bridgeton Academy (ME). Bridgeton is an all-male boarding school that consist entirely of PG students (post graduate high school students - 18 and 19 years old). With about 10 minutes remaining, our boys picked up the pace and peppered the opponent’s net. With a minute and a half remaining, Noah Wilson fired a point shot that Josh Hunt pounded into the yawning cage! On Sunday afternoon, our young guys played an older, stronger, and more experienced team (Islanders) that generally outclassed us on the expansive Olympic sheet of ice. We gave it all we had and worked to keep the score 4-0 for our opponents. A little humble pie and perspective is not the worst thing for our players. Sunday evening we were focused heading to the rink. 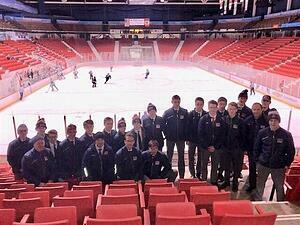 We were pumped to play the NH Avalanche. We knew that our opponent had a very good power play and our players were told that they needed to stay out of the box if we were going to avenge our past loss (in a previous tournament). In the end, we took a few penalties (some of which were the result of home cookin’) and they scored 3 power play markers. We lost by a score of 4-1. On Monday morning we played our last game against North Broward Prep (Florida) and were ready to finish our great trip with a win. 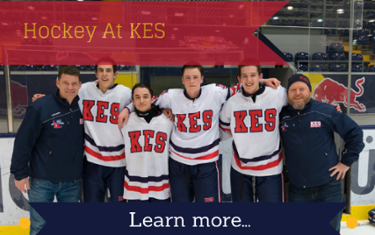 From the drop of the puck, our young KES players worked hard to gain control of the large 1980 Olympic ice sheet. The game was close early but Josh Hunt, Keagan Gilbert, and Noah Wilson made sure the good guys won by a score of 3-1. We would like to thank the Northwood School for the chance to play at such a historic site as the players and coaches have a hockey trip that they will remember for a very long time!